1938 was a busy year. Howard Hughes set a new record by completing a 91 hour airplane flight around the word. Looney Tunes animated short Porky & Daffy was released. The Silver Theatre’s grand opening took place. Sunday, September 15, 2013 marks the 75th anniversary of the Silver Theatre’s grand opening in 1938. Special screenings will be hosted September 13 through 18 in honor of their 75th anniversary. In celebration of this milestone, AFI Silver is requesting DC Metro area moviegoers to share their own memories of the Silver Theatre. Was there a memorable first movie, a special outing with friends, or a hot date that took place anytime from when the doors opened in 1938 or even yesterday? They want to hear about those memories. The community and anyone who has had the pleasure of experiencing AFI, please send your stories to SilverMemories@AFI.com with your email address, name, phone number, and date of your special memory. AFI will be compiling a sample of the Silver Theatre audience memories from across the years and will continue to collect stories throughout the year. For more info, visit AFI's website. Grammy Award-winning saxophonist and Tony Award-nominee Branford Marsalis will headline the 2013 event. This is a free event. Maryland-National Capital Park and Planning Commission will begin construction activity at North Four Corners Local Park and construction will continue through the fall of 2014. 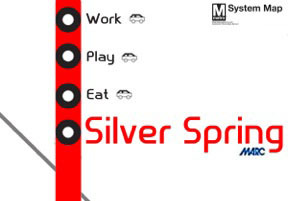 For more information about this project, please visit ParkProjects.org or call 301-495-2595. $30 per person for an all-you-can-eat feast of American BBQ classics. They are closing down Selim Road. If you missed last year's BBQ, this is a must attend. I hope they have the Mexican corn again -that deliciousness shall forever live in my memory! Serving special, limited production beers with a Flying Dog Brewmaster. Recently you may have seen Dan Reed's blog post and his cameo in the clip on Rapid Transit System. If you live in Montgomery County, it is likely this would have an impact on your day today commute whether you see it as positive or negative. If you have an issue with RTS or you have questions or concerns if it may affect you or your neighborhood, now is the time to say something. The Planning Board will host a public hearing. They want to hear what you have to say. Show up and speak up! If you missed this event last year, it was a lot of fun. They had a good line up of local banks, great food, and good people watching. It’s a great opportunity to meet your neighbors and shop local vendors. Adega Wine Cellars is having a Pumpkin Release party. They will re-open their doors at midnight and their Pumpkin beer will go on sale for the season. Support the neighborhood and check them out! September is National Oyster Month. Stop by Crisfield for oysters on a half shell or oyster stew or 8407 Kitchen Bar for local oysters on the half shell $2.50 each. Urban Butcher (8226 Georgia Avenue) & Kaldi's Coffee (918 Silver Spring Avenue) coming soon. 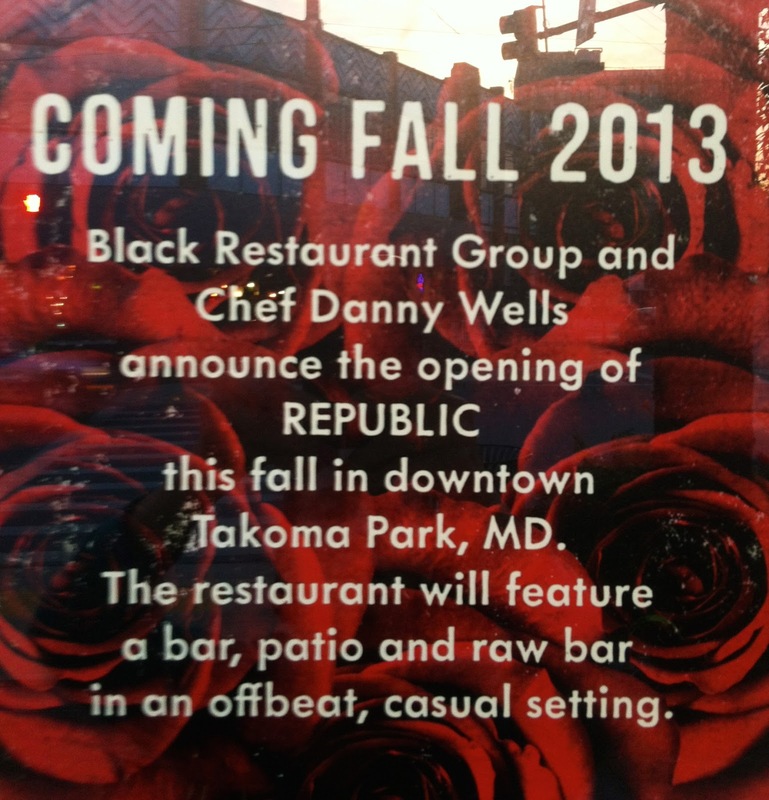 Republic (Black Restaurant Group) restaurant opening in downtown Takoma Park fall 2013. 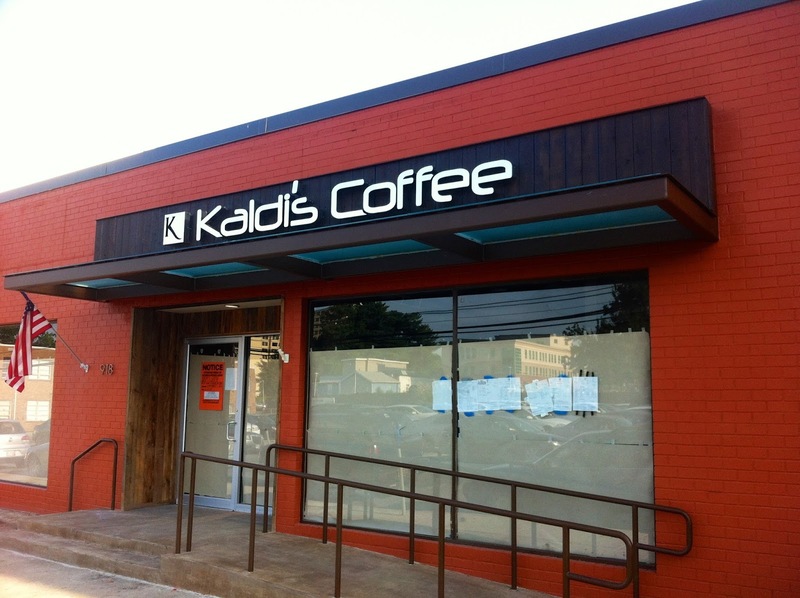 Kaldi's Coffee spent some serious $$ on their exterior/interior reno and it's ended up looking excellent. I hope they do okay over the next few years w/Studio Plaza construction happening at their doorstep...not to mention their off-the-beaten-path location. Could be a rough first couple of years. 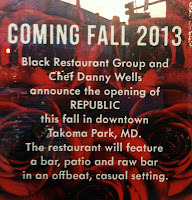 Anyone know when Republic is opening?